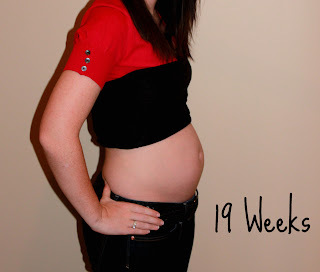 When was the last time I did a pregnancy update? Week 18? Week 17? Wow. I'm so behind. Honestly I have been so scattered lately it's not even funny and yes, I'm going to totally blame it on pregnancy. 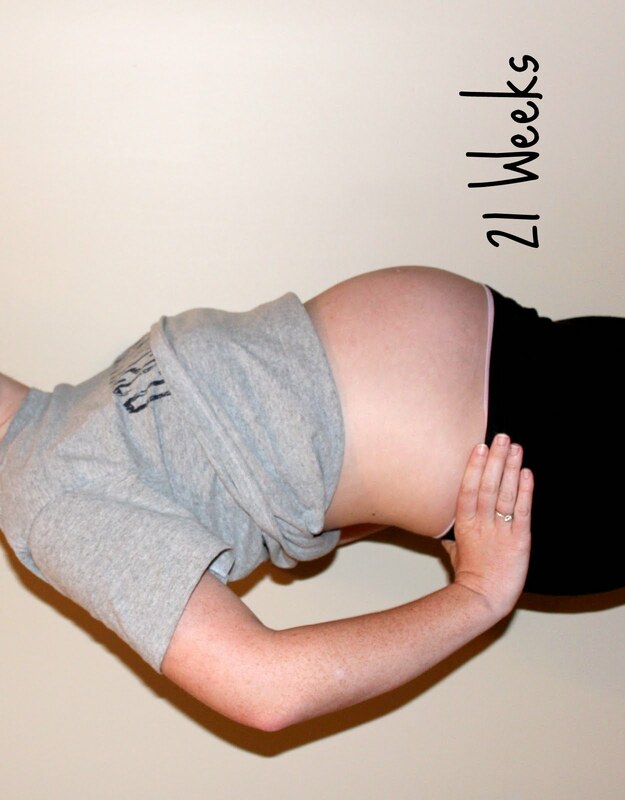 ...and I would venture to say that I've grown a lot more in the 3 weeks since this last picture. I have been feeling great the only complaint I have is that my back has been hurting lately. I think that might be due to the 4 hour canoe trip we took over the Memorial Day weekend. Don't worry I did absolutely no paddling, but I think the bumpy ride was enough to cause some pain. Basically now I am bath lover. I pretty much take one every other night now and it's awesome and helps me go right to sleep. Our last few doctors appointments have been pretty uneventful. We went over the ultrasound pictures with our doctor and everything was as it should be. I have gained about 12 pounds so far and I want to say a bulk of it was due to the week and a half of candy cravings I had. I'm going to have to be careful with my sugar intake from here on out to make sure I keep myself in check. Not that 12 pounds is a bad place to be, it's perfectly normal, I'd just like to keep it that way. There has been some progress on the nursery which I plan to share soon. We've also picked a name but I'm not quite ready to share just yet. Baby boy has also received his first gift from my good friend, Amy who happens to be the first person to have sent me a wedding gift as well. She is on top of it! How cute is that froggy wrap for bath time??? 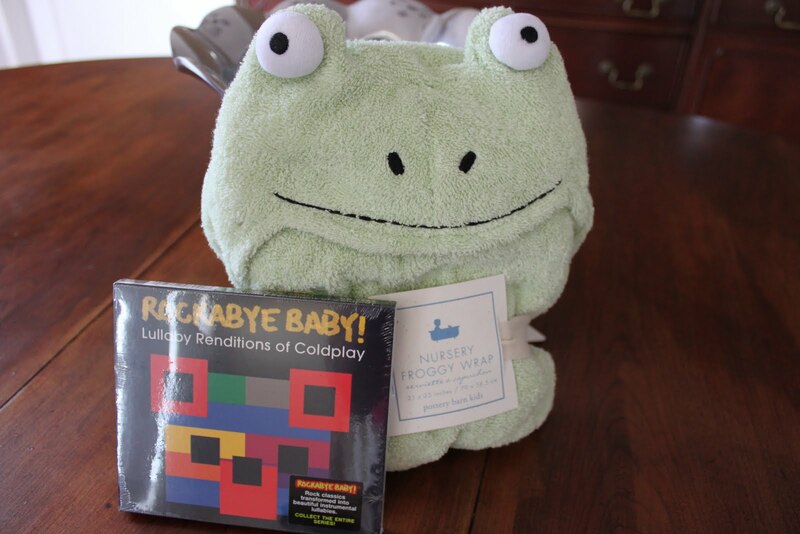 She also sent us the Coldplay Lullaby CD which I have yet to listen to, but I'm sure it will be wonderful. Oh and I haven't told you the best news yet! I have been feeling him move since about week 19 and each week I can tell that he is getting stronger and stronger. Today for some reason he has been kicking really low which is kind of a weird feeling. 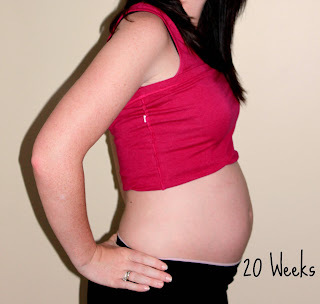 When we did our ultrasound, the tech informed me that the reason it had taken me so long to feel him was because my placenta is mostly in front where my belly is instead of towards my back. It's nothing to worry about, it's just added extra padding causing me not to feel the baby as much. I think that about wraps up all the updates for now. I just have to say that I feel so blessed to be having a wonderful and mostly uneventful pregnancy experience and I hope everything continues to go as smoothly.